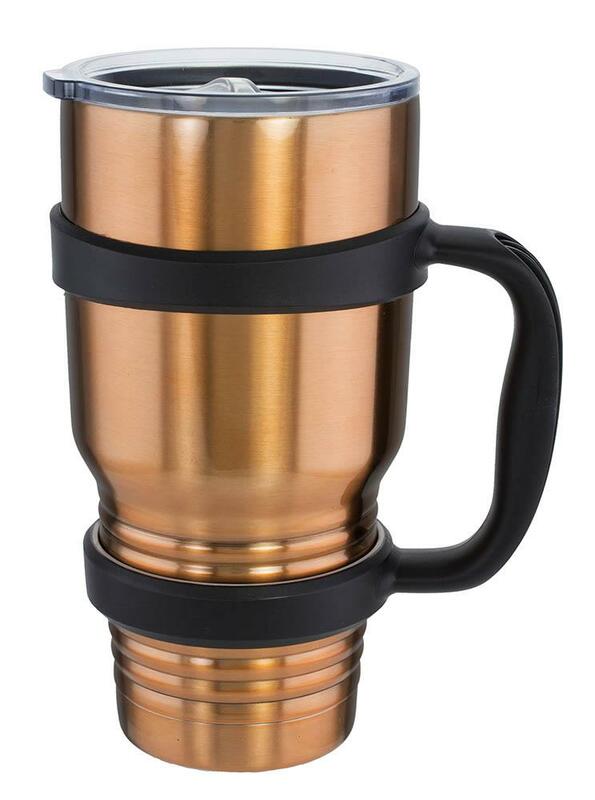 This mammoth mug will hold 30 ounces of your favorite drink! 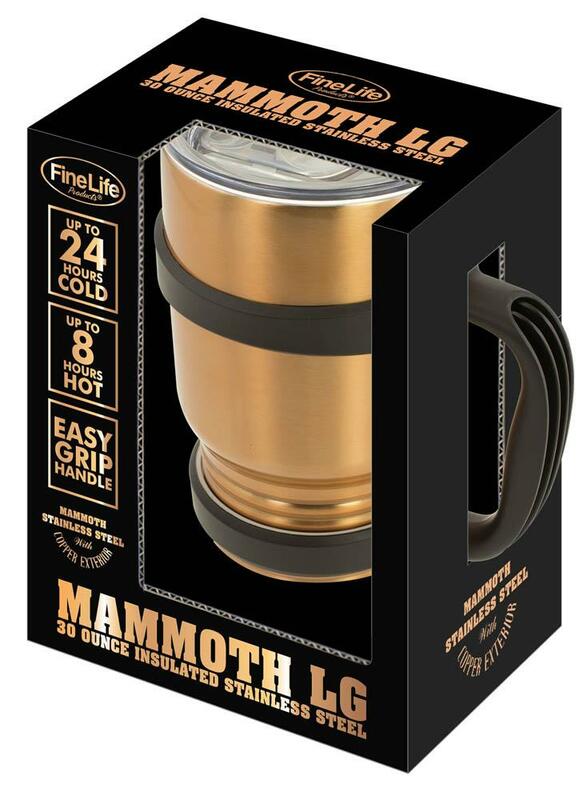 It is insulated with a double-wall vacuum feature to keep your cold drinks cold for up to 24 hours and your hot drinks warm for up to 8 hours. The copper finish exterior is right on trend and will stay dry with the sweat-proof feature. The easy grip handle and fit-tight lid will help prevent spills. Fits most auto cup holders. Hand wash only. NOT FOR MICROWAVE USE.